The federal government of Canada currently offers several programs that offer assistance to post-secondary students and post-secondary graduates. These include the Canadian Student Grants Program (CSGP), the Canadian Education Savings Grant (CESG), and the Repayment Assistance Plan (RAP). 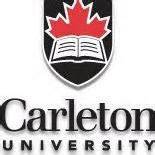 Carleton University in Ottawa Ontario is one of eleven universities in Canada to offer an undergraduate journalism program. Many areas of study can only be found in select schools. The Canadian Student Grants Program was adopted in 2008 as a replacement for the Canadian Millennium Scholarship Foundation. Unlike the student loans, grants do not need to be repaid. Grants of $250 per month are offered to students from low-income families, and grants of $100 per month are offered to middle-income families. $1,000 a semester for low-income students is not an insubstantial amount. Across Canada this figure is approximately 17% of tuition fees. In provinces such as Quebec and Newfoundland and Labrador this can cover over 70% of tuition. However, these grants do not adjust for proximity to university. If a potential student does not live within commuting distance of a university, or if they wish to attend a specific university that focuses on a particular subject, then costs increase substantially. For instance, to attend the Memorial University of Newfoundland tuition is only $2,550 for two semesters, but living in residence with a meal plan can be upwards of $8,530 in addition to tuition fees. The Canadian Student Grants Program is fairly generous towards low-income families living near a university, but it does not react accordingly to low and middle-income families who have to move away to attend university. 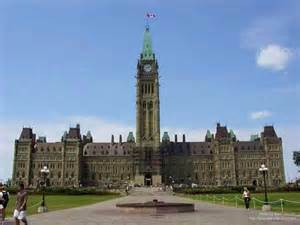 Parliament Hill, home to Canada’s parliament. The Canadian Education Savings Grant is system that was introduced in 1998 and works in conjunction with a Registered Education Savings Plan (RESP). The federal government will add 20% of what is invested in an RESP, up to $500 a year for an investment of $2,500. Universal programs such as this can improve accessibility to post-secondary education. Students from low-income families respond more drastically to changes in tuition than other groups. Programs that increase affordability for all would help these students the most. But, the prospect of a long-term savings plan is more affordable to high-income and middle-income families than low-income families. The main criticism that can be made against the CESG is that it favors families who can afford long-term investments. To counteract this, a system was put in place where low-income families could receive an additional 10-20% from the first $500 the put in their RESP annually (The Additional Canada Education Savings Grant). While this may help low-income families slightly more, the CESG program still favours students from high and middle-income families. To put the disparity into context, a contribution of $2,500 to an RESP is a minimum of 5.7% of the net income from the first tier of federal income tax (defined as $43,953 or lower), and is a maximum of 2.8% of the net income from tier three of federal income bracket(defined as a net income of over $87,907). The Repayment Assistance Plan (RAP) is an excellent way for people to manage their student loan payments. Under RAP student loan payments can either be reduced, or not paid at all for six months, depending on the person’s financial situation. A program such as RAP is very useful; however RAP appears to be not very well known. A 2006 study showed that a large minority of borrowers were unaware that such a program existed. RAP, though useful to borrowers, is not sufficiently promoted. A number of Federal funded programs exist to increase equality in university tuition, but these programs are unable to keep up with the widening gap brought on by increasing tuition fees. Kapsalis, Costa. “Who gets student loans?” Perspectives on Labour and Income 18.2 (2006): 12-18. Wright, L., Walters, D. and Zarifa, D. (2013), Government Student Loan Default: Differences between Graduates of the Liberal Arts and Applied Fields in Canadian Colleges and Universities. Canadian Review of Sociology/Revue canadienne de sociologie 50: 89–115.